As a kids magic entertainer and party planner, I’ve been to over 2,000 birthday parties, and I’ve seen literally hundreds of kid party themes. Note: Before we go any further, if you do not have a birthday party checklist, I would strongly consider that you use one. If you organize a kids birthday party without a checklist, you could forget something very important and the morning of the party you will be scrambling around trying to make things right. Make life sooooo much easier for yourself with my free printable birthday party checklist! 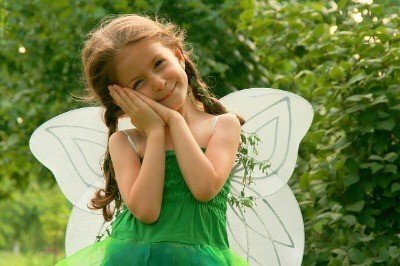 Your child’s birthday party should be fun and hassle free. That’s why I put together this info on birthday party themes, full of kid birthday party tips, so parents can get solid, easy to do practical kid party themes that work in the real world. The following birthday party themes (boys, girls and mixed parties) are a few that I’ve seen at parties that both kids and parents loved and helped make birthday party planning go smoothly. Invitations: Use kids stationery that is decorated with dinosaurs. They will love it. Decorations: Cover the party table with a white sheet and paper dinosaur foot prints. Scatter the table top with rock candy and dinosaur fruit snacks, for color. Make a simple centerpiece by tying Helium Balloons to a large plastic or plush dinosaur. Tape Dinosaur footprints all over the walls, and floor. Decorate with big rocks and ferns. You can use wide green crepe paper to cut out fern leaves. Large paper bags can be taped closed, slightly crumpled, and painted with grey, black, and white streaks to resemble boulders. Using a large box, create a cave effect. Inside the cave, have the children draw or write by placing large pieces of poster board or cardboard. You may even want to post some cardboard cutouts of prehistoric dinosaurs. 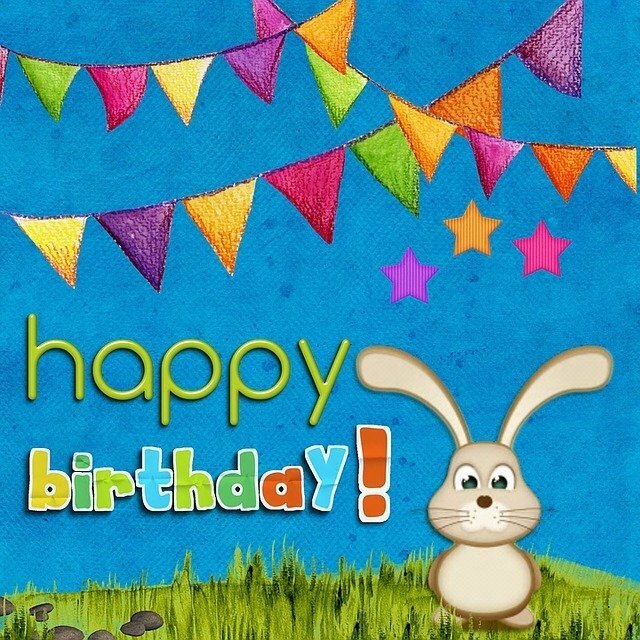 For matching dinosaur partyware and dinosaur themed goodies, check out Party Rama – Birthday Party Planning Supplies. Food: Offer your guests dinosaur shaped chicken nuggets or dino shaped sandwiches using a cookie cutter found in most craft or kitchen stores. Use whole chicken wings. Wash the wings and dry. Hold onto wing tips and spread them so they look like they’re flying. Dip wings in barbecue sauce and place on foil-lined baking sheet. Bake for 20 to 25 minutes. Turn wings carefully and bake for another 15 to 20 minutes. You can make these ahead and reheat in an oven for 15 to 20 minutes. Games: Offer your guests dinosaur shaped chicken nuggets or dino shaped sandwiches using a cookie cutter found in most craft or kitchen stores. A classic that kids always love. Ring Toss with dinosaurs. Solid plastic dinosaurs are the targets for this game. You can buy the rings or they can be easily made with heavy rope and duct tape. Just play just as you would normally do with horse shoes or Ring Toss. Rawhide bones from pet-food store. Small prizes to hide in eggs, or prizes to give out at the end of the game. Create a ‘Jurassic hunting area’ with caves (constructed from blankets and tables), ferns and other plants, big paper-bag boulders, painted cardboard dinosaurs, and other decorations. Hide all of the eggs or bones (or you can do this while children are occupied with another activity). If you have a wide range of ages, you may want to make an area where the items are easier to find, and give children boundaries for hunting based on their age. Count the number of items you hide so you will know when the game is over. Give each guest a bag, tell them what they’re looking for, and send your paleontologists on their way. When all (or most) items have been collected, items may be traded in for a prizes. You can go to your local party store for party bag items. For a better selection Everything Dinosaur has a huge inventory of dinosaur theme goodies that you can put in loot bags. This is one of the more popular kid party themes for girls that I’ve seen over the years. If you really want to get into it, hand write the invitations in calligraphy. Roll them like a scroll and tie with pretty pink ribbon. Ask the guests to wear their ‘ball gowns and jewels’ to the Birthday Ball. Use pink, purple, and blue tablecloths, streamers and balloons. Party Rama can supply you with princess plates, cups, and napkins. Decorate with pink and white balloons, purple streamers, etc. Make large tissue paper flowers by fan-fold large sheets of tissue paper, put a twist tie in the center and separate the sheets to make petals, then attach to a dowel for the stem, sprinkle with glitter. Make enough so each girl will be able to take one home. Use paper doilies on top of paper plates with star confetti sprinkled around. Another option is to have the girls make their own necklaces and bracelets using satin ribbons and beads. This is one of those kids party themes that has a real 'hands-on’ approach that girls love. Make Star Wands: cut star shapes from poster board. Glue to a length of dowel and spray-paint gold or silver. 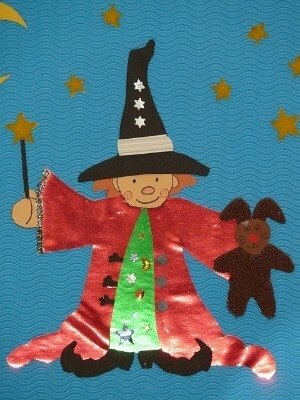 The girls can decorate their own wand with glitter-glue, stickers and foil confetti. Make Princess Hats: Buy or make cone hats. To make them… take poster board and shape into a cone and staple. Add streamers at the top. Have the girls decorate them with glitter, stickers and confetti. Pass the Poison Apple: Use candy that is pre-wrapped in gold foil ( almond kisses, chocolate coins, etc.) so as the kids left they got a bag of gold. You could even use plastic gold coins from a novelty store. Snow White theme game: For a new spin on 'pass the parcel', have an apple passed around and whoever is holding the apple when the music stops is out. Continue until only one person remains and receives the prize. If you have an old mirror, you can use it for a ‘magic mirror.’ Decorate the mirror to make it look somewhat like a medieval mirror. When the girls arrive, have them apply simple makeup in front of your medieval mirror. Make a cardboard castle from boxes and photograph each girl after she had put on her makeup and princess hats. Every kid party theme needs goody bags. They are an absolute must! Use candy that is pre-wrapped in gold foil (almond kisses, chocolate coins, etc. ), so as the children leave they’ll got a bag of gold. You could even use plastic gold coins from a novelty store. This is one of the more popular birthday party themes to use for both girls and boys. Even more so if you’re having a magician perform at your party! Boys and girls both love magic, so this party theme will be a real winner for you. 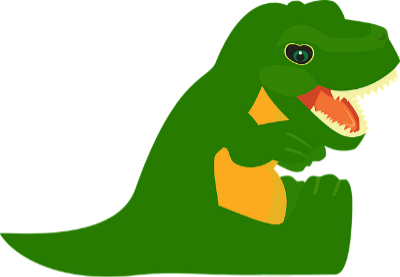 Here you can print out free dinosaur party invitations. Or if you’re feeling creative you can simply design your own. White and black streamers and balloons with stars on etc. You could either make your own magic wands from thin plastic tubing or cardboard and paint it white with black tips, or to save time simply Order your magic wands, hats, party ware, etc from a local party supply store. Money saving tip: Magic (top) hats are usually on sale at birthday party supply stores AFTER New Year’s. They might say Happy new Year’s on them, but you can simply cover this up with a magic picture or graphic. 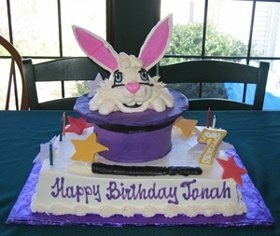 To the left is an example of an awesome birthday cake from a magic theme party I entertained at. Simply use green lucozade, (or something similar) mixed with ginger ale served in a punch bowl. In the middle put green sorbet. It will fizz! The kids will love this magic potion drink. You could also put in star shaped ice cubes. As I mentioned earlier, the best (and easiest for you) way to make your child’s magic birthday party theme truly memorable and fun is to hire a magician. Not only will your kids have a great time, many magicians will teach a magic trick for all the kids. This is a great way to promote fun, interaction and social skills for kids! In fact in my kids magic show, I have different tricks that I teach according to the age group. The kids go home and perform the trick for their parents, which of course makes you look great for putting on such a fun party. *Note: If you are not in the UK area and are interested in having a magician for your kids birthday, email me with your location and I’ll send you info about entertainers in your area. Buy simple magic tricks from your local toy store, have the kids practice the trick and have each one of them perform in front of the group! Important: if you go this route, make sure the trick is very easy to learn. Easy enough so that the youngest child can do it. What you don’t want is any of the children feeling down because he or she couldn’t make the trick work. A great simple inexpensive trick to buy is the ‘Fortune Telling Fish.’ This is a small red thin plastic fish, that when you place it in a child’s hand, it mysteriously begins to wiggle and curl! 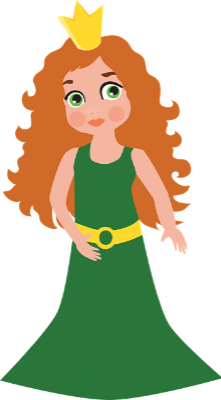 This works automatically – the fish curls and it means that the child is a great kid! (Or whatever you want it to mean.) Kids absolutely love these! Click here to see photos of the magic fish in action. Some children entertainers provide party bags as part of their performance package. If you’re going to have a magician, and you book me… you are all set! In my party bags I provide the magic fish I mentioned, a bunch of small toys, (bubbles, vampire teeth, puzzle, finger traps, etc. ), and a magic coloring/activity sheet. Check out my kid party theme party bags that help make birthday party parents life a lot less stressful. Thinking about making your own party bags? A wonderful idea would be to have colourful paper bags with glow in the dark stickers stuck on them. Inside the bag could be a packet of jelly beans labeled ‘magic beans’, some Harry Potter stickers, and perhaps a simple magic trick. So there you have it. 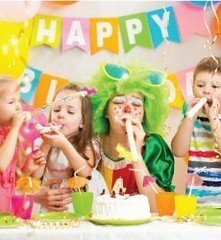 Several wonderful and popular birthday party themes that will help make your child’s birthday party a smashing success!